Giving the course another try. Been doing some cleanup and trimming. 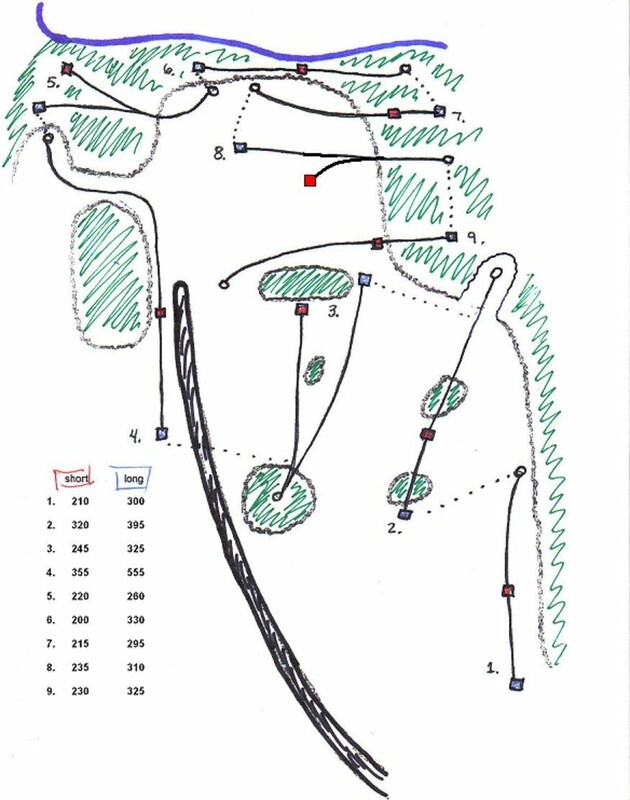 we will be using the course for Bloomington Normal traveling winter league this year. First day will be 12/12. Have only been out to the course once this year. I will try to get out there soon and give an update on the current condition of the course. 07/19/06 : The LeRoy Disc Golf Course was made possible through a grant obtained by the P.E. teacher at the local elementary school and approved by a select comittee. The grant was part of a program to create and maintain lifestyles and activities to promote the good health of our youth. It was designed and installed by local disc golfers on an old landfill. 07/19/06 : The course is 9 holes with short and long tees for each hole. This map has been updated many times and will be cleaned up in the near future. Click on pictures and drawings for a larger view.There are big dirt spots in some of the pictures. This is where the city filled in large holes or ruts.